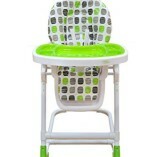 Modern take on the classic highchair! 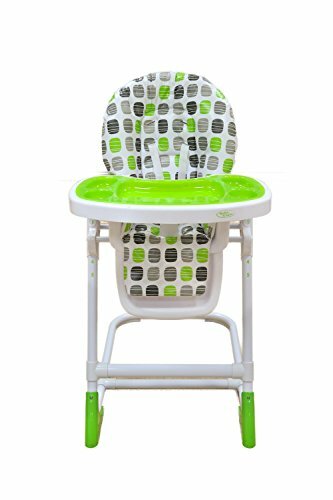 This highchair is a modern Hi-Lo chair guaranteed to brighten up any dining area and makes mealtime a breeze for hungry babies. 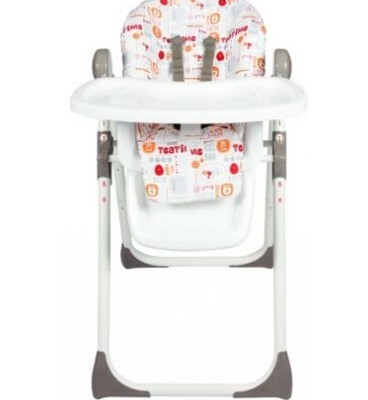 There are 5 height adjustments and 3 recline positions to suit your growing baby and the frame is freestanding when folded. 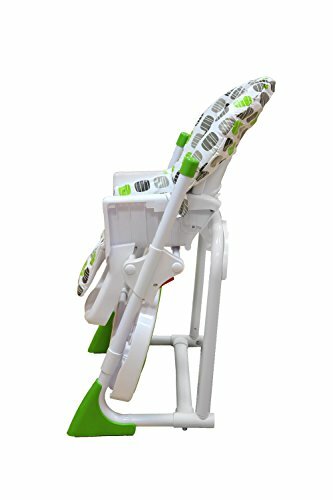 The seat cover and tray can both be removed for easy cleaning. 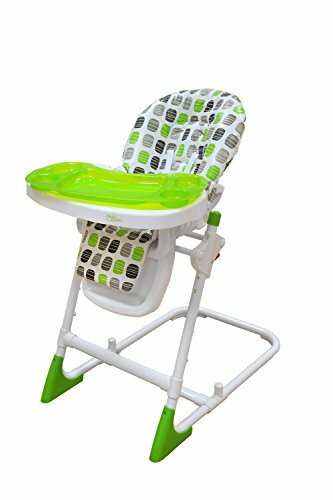 The highchair is an innovative, modern, amazing value for money, ergonomically designed highchair, which features a 1-piece seat and water-proof seat making clean-up easy. 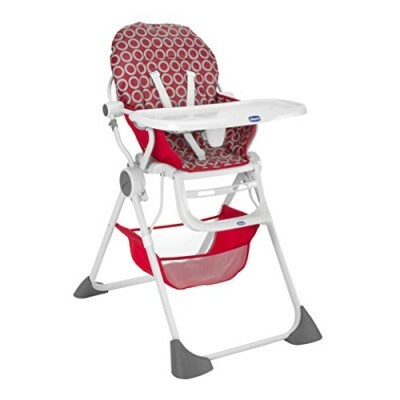 The extra-padded seat and 5-point harness keeps baby both comfortable and safe. 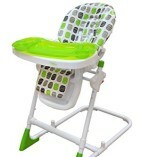 The Highchair has an easy-lift mechanism allowing multi height adjustments & 3 recline positions. 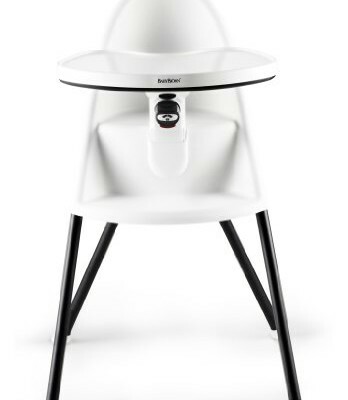 The HiLo Highchair has a sleek, modern design which makes it popular with families who want a highchair that fits their modern decor. 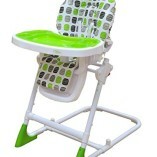 To cut mess to a minimum, we designed the Highchair with smooth surfaces and and wipe clean fabric. 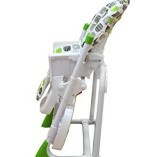 The detachable tray is easy to take off, comes with an insert and can be washed by hand or in the dishwasher. 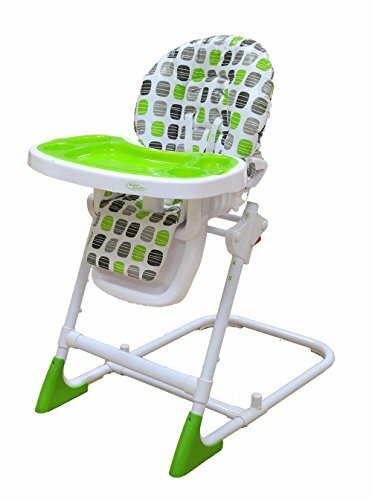 •Removable tray – with plastic insert + cup holder!